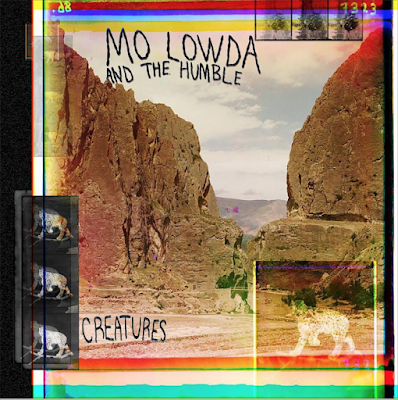 Philadelphia rockers Mo Lowda & The Humble have announced the release of their highly anticipated new album "Creatures," due out March 13. Additionally, the band has released the third single off of the forthcoming record, entitled "Why'd It Take So Long," which is available to Spin. This track follows two previous singles, "Standing In Place" and "Card Shark." Lead vocalist and guitarist Jordan Caoila said, "Creatures is a collection of tightly arranged songs detailed by intricate melodies, overdriven guitars and bass, thick drums, and raspy vocals. The lyrical subject matter ranges from introspective accounts of heartache to tales of greed, homelessness, gambling abuse, and a country's struggle with gun violence." The self-produced 10-track album comes on the heels of Mo Lowda & The Humble playing 100 shows nationwide last year. The band had help in the mixing and mastering department from Kyle Pulley (Thin Lips, Hop Along) and Ryan Shwabe (The Districts, Ellie Goulding, Hop Along), respectively. Known for their progressive songwriting and energetic live performances, the band has also announced that they are going to be hitting the road later this month for a North American tour in support of the upcoming album. The tour kicks off in Raleigh, NC on March 6, and ends in Washington D.C on May 17. Tickets are now on sale through various retailers. For more information, please visit molowda.com/.